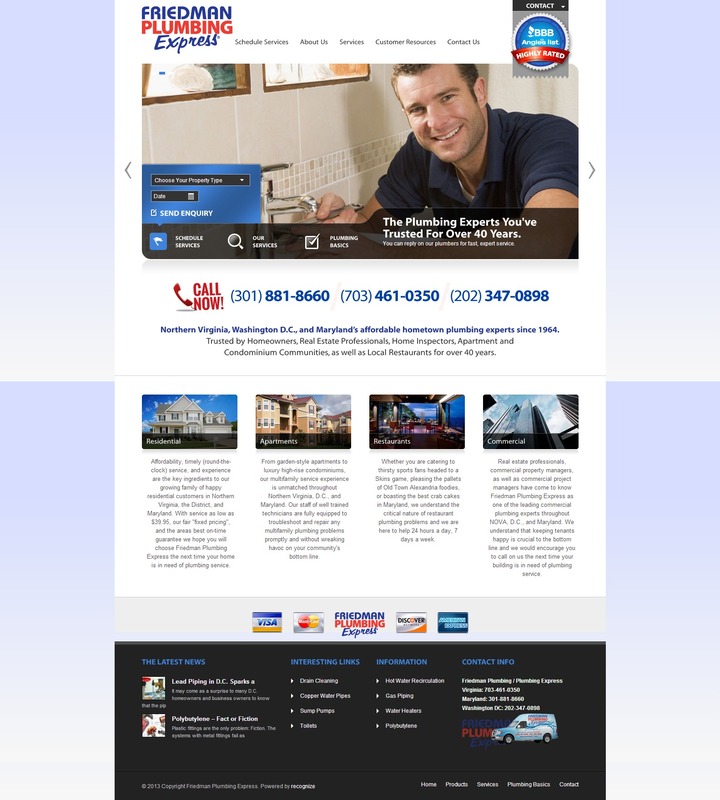 This plumbing company needed a new website that would help boost their search engine optimization and help capture leads. This plumbing company website design offers an immediate call to action for the viewer to schedule their plumbing service. The form on the Home page banner prefills the full form which requests the rest of the needed information. With multiple locations and service areas, the phone numbers needed to be placed in key locations throughout the site. In addition to the home page, the phone numbers, schedule plumbing service online, and email a master plumber is located on the sidebar of just about every page in the website design. This helps ensure maximum visibility for the contact information viewers need. With it’s built in content management system, this plumbing company can update their website design by adding pages about utility providers, water heater manufactures, and other resources that provide valuable information to their customers and website visitors. 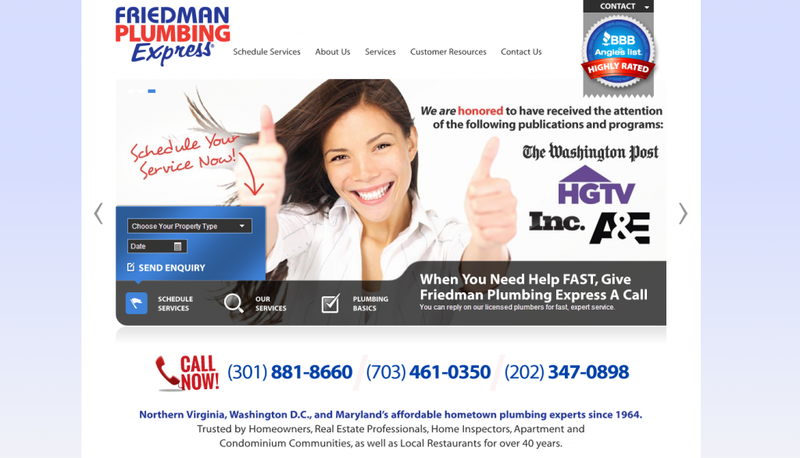 Our friends at Friedman Plumbing Express also need to provide an overview of their services: Residential Plumbing, Apartment Plumbing, Restaurant Plumbing, and Commercial Plumbing. The key areas on the Home page design provide links to each area of service. If you are looking for a plumber in the North VA, Washington DC, Maryland area then just click the link below. Is your website tired and dated? Check out some of our recent work of Website Design in Baton Rouge and around the country. If you see something you like, then just contact us to Start A Website Design today!